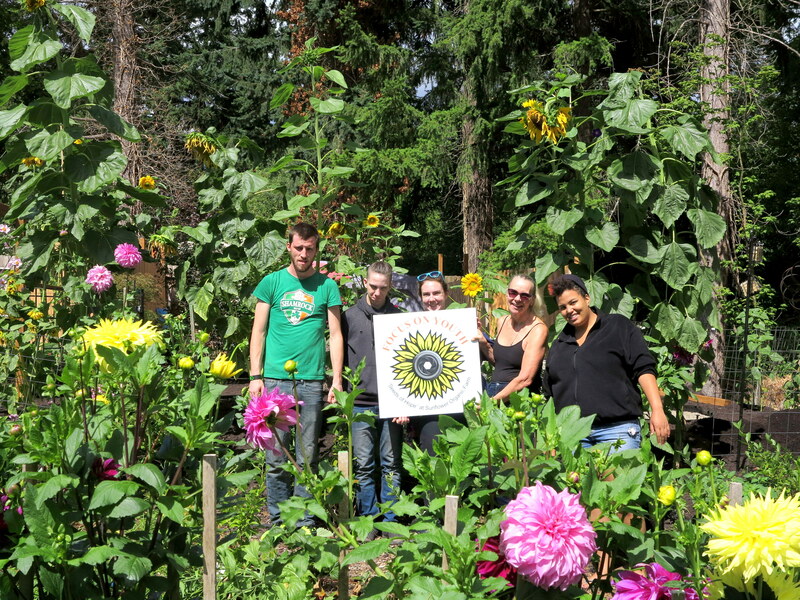 Planting Seeds of hope, joy and love…. Over the past decade Focus on Youth has provided mentoring and hands on learning experiences for over 13,000 disadvantaged and homeless youth. 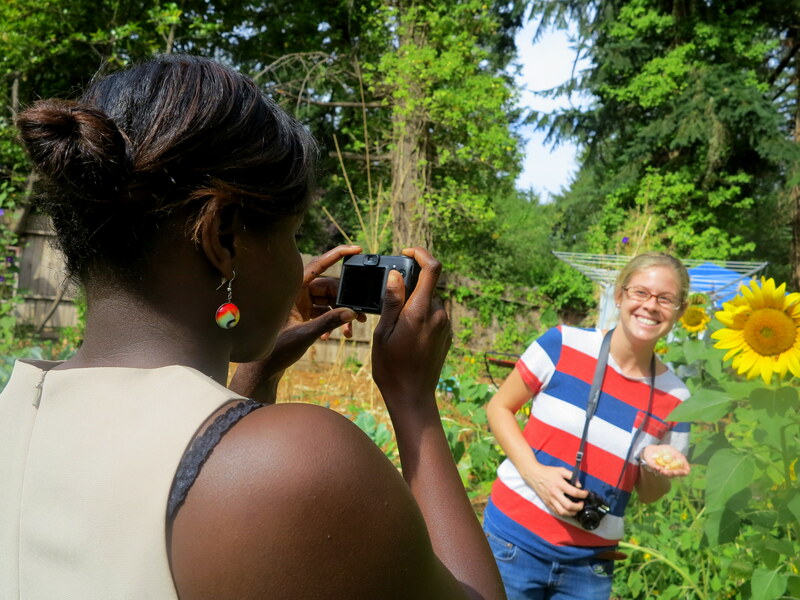 Our program Seeds of Hope, is a youth leadership program that incorporates sustainable gardening, nutrition, healthy cooking classes, science and photography classes for homeless youth. This unique program takes place at the Focus on Youth headquarters, a one acre parcel of land in Southwest Portland, dubbed Sunflower Farm. 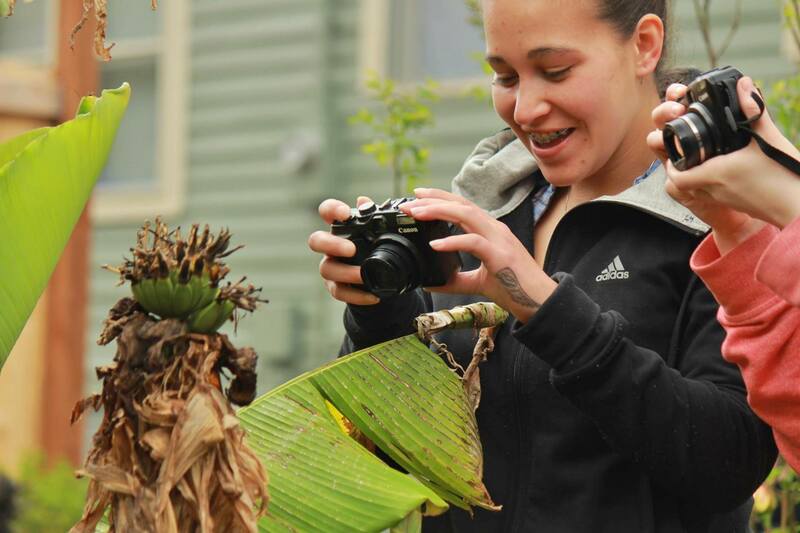 Focus on Youth is increasing opportunities for students using hands-on learning to produce food and art, and cultivating students ability to communicate publicly through photography exhibits, building community and improving the environment. Professional photographers from The American Society of Media Photographers and The Portland Metropolitan Photographers Association who volunteer as mentors teaching digital photography and computer software programs. Our workshops include field trips around the city, in-class projects, gallery and museum visits. We collaborate with schools and community organizations developing projects that engage students’ imagination and creativity while building their confidence and self-worth. Focus on Youth nurtures creativity, promotes leadership skills, encourages success and profoundly transforms the lives of our students and our participants.